This piece was originally published on The Book Girls on 12th December 2014. You can read it (in Italian) here. In the past few months, the English-speaking media have discovered a new world: that of people becoming famous through YouTube. Between 2013 and 2014 various vloggers started expanding their products beyond the internet, appearing on television and radio, putting out make-up lines and, most importantly, publishing books. Among them is Zoella who, with almost seven million subscribers on her YouTube channel, has basically become a religious leader for her teenage fans. Her first novel, Girl Online (published by Penguin) sold 78,109 copies in its first week on shelves, becoming the fastest selling debut novel ever. The crucial information, in this case, is that Zoella has always showed herself as honest, transparent, animated by a sincere wish to do what she does: record videos, but also write. Rumours that her book was ghostwritten were confirmed by Penguin in this short statement: “To be factually accurate, you would need to say Zoe Sugg did not write the book Girl Online on her own”. This shouldn’t be particularly surprising to anyone who has ever watched a Zoella video. I have been one of her legion of subscribers for a while now, and when she announced her novel my reaction was something along the lines of: “Really? I thought she was illiterate”. Even the tweet in which she proclaimed her “break from the internet” contains a spelling mistake. The fact that she didn’t write the book she passed as hers was somehow predictable. 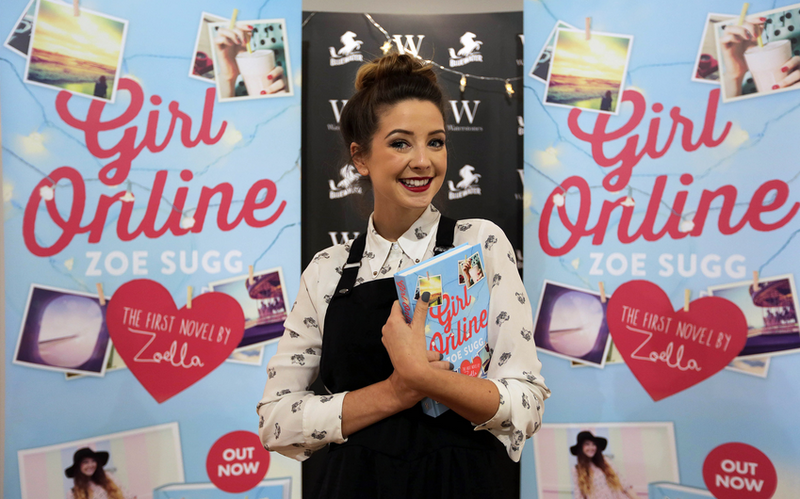 Zoella has accepted that her name and her brand be put on soaps, body washes, the cover of a book. There is no difference, they’re all commodities. There is an enormously prolific area in publishing that is made up of biographies, cookbooks and so on, all connected to a celebrity or a TV show. If I said that I have never read one of these books, I would be lying: I have read several, from the shamelessly commercial ones, like Mary Berry’s autobiography, to the more literary, like Morrissey’s. Do you know why I picked these two as examples? Because they were both published by Penguin. To write this piece I spent a few hours browsing Penguin’s catalogue; what I came away with is that for every interesting book, there are ten — maybe twenty — that are utter fluff. The Penguin fluff catalogue is roughly subdivided into three categories: 1) autobiographies and cookbooks by celebrities 2) romance novels 3) young adult books. No one is scandalized when celebrities hire a whole team of ghostwriters to pen their “autobiography”, and they are right to do so: people who are athletes by trade cannot expected to be competent writers, too. Someone gets paid to listen to what a famous person has to say and put it together as something legible. Or sometimes beautiful, like André Agassi’s Open. The fact that Penguin paid a ghostwriter to write a book for Zoella is not a bad thing per se: her job is to film herself while she cuddles her dog. The problem is that Zoella didn’t publish an autobiography or a vlogging 101 guide: she put her name on a novel. A work of the imagination, a work in which the author’s vision — even at its most terrible and poorly-worded — is key. As we repeated so many times in the past, Young Adult literature (and children’s as well, at least in part) is often viewed as adult books’ highly profitable but irrelevant little sibling. Even Penguin, universally recognized as a serious publishing house for serious authors, can get away with releasing plenty of ‘fluff’, because it’s not expected to offer good books to young readers. The quality of what is published is often completely irrelevant to the amount of books sold. Entire series, beloved by entire generations — Sweet Valley High or The Baby-sitters Club, for example — have been written by people whose name never appeared on the covers. The huge industry of “book packaging” is formed by people who plan out the outline of a book and pay writers to turn it into a novel. Examples? Pretty Little Liars, Gossip Girl, The Vampire Diaries. It’s enough to release tons of low-cost books as fast as possible. None of these was born from a genuine idea and none of these is a particularly good book. Precious few novels that came from a ghostwriter are any good — not because the person who writes is incompetent, but because the publisher who commissioned the book has no interest in a good turnout. Well, as long as we’re not talking about economic turnout. Penguin smelled the pile of cash on which Zoe Sugg is sitting, i.e. her fans, and decided to put her name on a book: more specifically, a YA novel for which Zoella outlined “the story and characters”. That is to say: nothing, as she didn’t write a word of it. The plot, the construction, the sentences are not hers. They are the ghostwriter’s, who had six weeks to put together a barely decent book on which to stamp Zoella’s name. 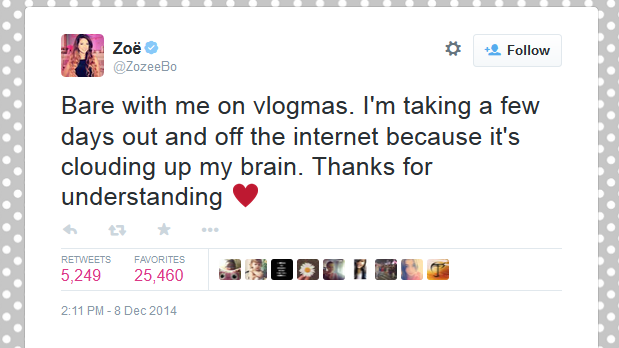 The creativity and imagination are the ghostwriter’s, even though Zoe Sugg passed the book off as hers. Saying that Zoella wrote a book with the help of a ghostwriter is like saying that I made a cake with the help of a baker, when I actually just said “I want a Sachertorte”, picked it up after six weeks and served it as mine. The quality of any book released this way is irrelevant, just like it was with the new Baby-Sitters Club coming out book every month. The difference is that Anne M. Martin had built an entire world and had written thirty-five books before the franchise was passed on to other writers. Pretty Little Liars was conceived by someone who wasn’t Sara Shepard, but she did the hard work and wrote an incredibly lengthy series. Zoella’s book, however? It was written by someone else, which legitimizes the idea that creativity is not only transferrable, but not even that important. It is the latest episode in a series of instances in which publishers show their awful attitude towards YA and will print just about anything — especially if that thing will sell 78,000 copies anyway, unreadable or not. It’s right that publishing houses want to make money: art and literature will only take one so far. It’s wrong, though, to do it at the expense of hundreds of authors who wrote their own books and who deserve to be read. It’s wrong to do it at the expense of readers, who are shamelessly lied to so that they spend their money on a book that isn’t even really Zoella’s.